Anyone who practices aromatherapy can tell you the benefits from using an essential oil diffuser. These machines allow us to fill our homes, offices and even cars with the therapeutic effects of essential oils. But if not cleaned properly, essential oil diffusers can actually become a health hazard. Below is a list of how to properly care for your essential oil diffuser. 1- Choose a high quality essential oil diffuser. There are multiple types of diffusers: ultrasonic, nebulizing, heat and evaporative. Ultrasonic diffusers work by emitting oil particles into the air when added to water. Nebulizing diffusers are waterless yet they work by emitting particles of essential oils into the air. Evaporative diffusers typically disperse the essential oils by using a fan mechanism. Heat diffusers transfer essential oils into the air by using high temperatures. Choosing the right diffuser for you is a personal choice depending on the types of oils you diffuse for what benefit and also the size of the environment you are diffusing in. They all have different benefits and only you can choose what is right for you. You can also purchase multiple ones for different uses. Either way, diffusers are a great way to incorporate aromatherapy into your life! 2- Change the water between oils. It can be tempting to just keep adding drops to your diffuser but it will distort the scent and therapeutic effects. Certain essential oils do not blend well together (such as cinnamon and eucalyptus) So, it is imperative you start fresh when you are diffusing. To achieve the best aromatherapy possible, change the water between scents. 3- Use high quality, therapeutic grade oils. Discount and low-quality oils are typically filled with additives that can clog or harm your diffuser. Before you purchase any essential oils, be sure that it is a high-quality product that is pure. Mary Tylor Natural’s line of essential oils are USDA certified to be top quality, therapeutic grade for holistic uses. 4- Once a week, remove the water from your diffuser and wipe the interior with a tiny amount (1tsp) of rubbing alcohol. Allow to completely dry before adding water again. 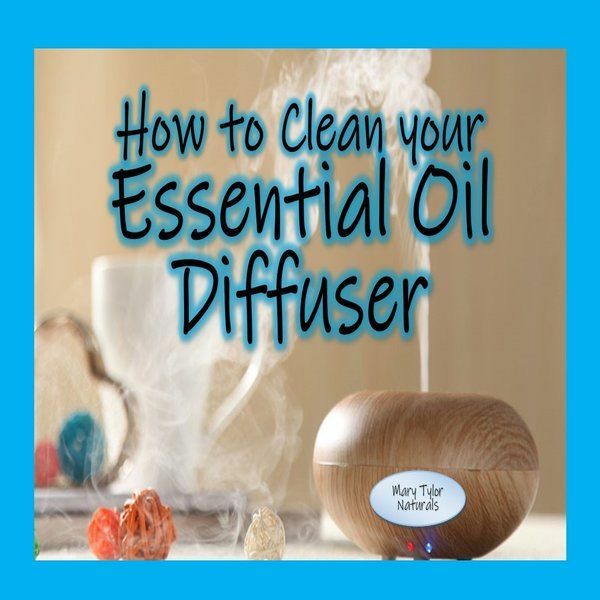 This will dry any excess oils left behind so you can begin to diffuse fresh scents at the next use! 5- Keep the connecting power cord dry when you are replacing the water. It is common for people to accidently splash water when they are adding to their diffuser but this can actually corrode the power cord and cause it to malfunction. Always unplug your diffuser before you change or add water to prevent the risk of electrocution. Precautions: Be sure to keep your essential oil diffuser in a safe place away from children and pets. Certain essential oils are not safe for children and you should use caution when diffusing. Certain essential oils do not blend well together. Please research which oils are safe to mix before attempting to blend them.